If you want to keep your house or flat looking good, it is essential to take care of your hard floors. They can show scuffs and scratches over time. Our hard floor and polishing service in Brent Cross can bring your floors back in good shape. We will use different techniques to get rid of the dirt, marks and scratches. Our machinery is cutting-edge and we know how to operate it. We guarantee satisfactory results. If interested, dial our phone number. With our hard floor cleaning and polishing service in NW4, the job is always done thoroughly. No areas will be left unclean. Our hard floor cleaning and polishing system in Brent Cross, NW4 is tried-and-true. We need to thoroughly clean the surface of stains, soiling and grime. 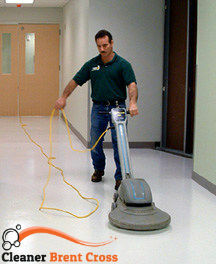 Our hard floor cleaning machines have high capacity. 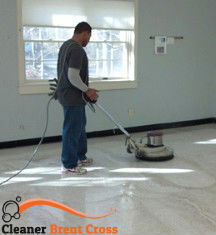 They are capable of cleaning hundreds of square inches of stone, marble floors and tiles in a single pass. We have the latest models, which ensures 100% efficiency. Our technicians are trained to operate these machines. A single worker can clean your floors in an hour or so. We will work from one end of the floor to the other. We will be careful when working around corners and baseboards so as not to damage them. The cleaning will be done with precision. Your floors will be free from dirt and bacteria. When the surface is all clean and dry, we follow up with polishing. Our buffing machines use abrasives to polish stone, marble and tiles. Why abrasives? Because they are capable of eliminating scratches. We will do our best to polish the surface evenly. Again, our machines are of great quality. Find out more information about our company by speaking to our representatives anytime during the day or at night if you wish. Book an appointment and have your hard floors cleaned the right way.